CALA Homes (East) has launched its first Edinburgh city centre apartment development in years; an on-trend hotspot offering next level living for city loving house hunters. The upmarket housebuilder launched Ten Brunswick Road at the beginning of this month, with the properties located just off Elm Row, at the top of Leith Walk in Edinburgh, offering doorstep access to world famous attractions and vibrant, cosmopolitan nightlife. Situated within the grounds of the previous General Post Office building on Brunswick Road, the development will offer a varied selection of one, two and three-bedroom apartments, providing high quality living in a convenient locale for buyers across the Capital. Our Edinburgh PR agency helped the upmarket home builder announce the exciting launch of its exclusive new apartment development. 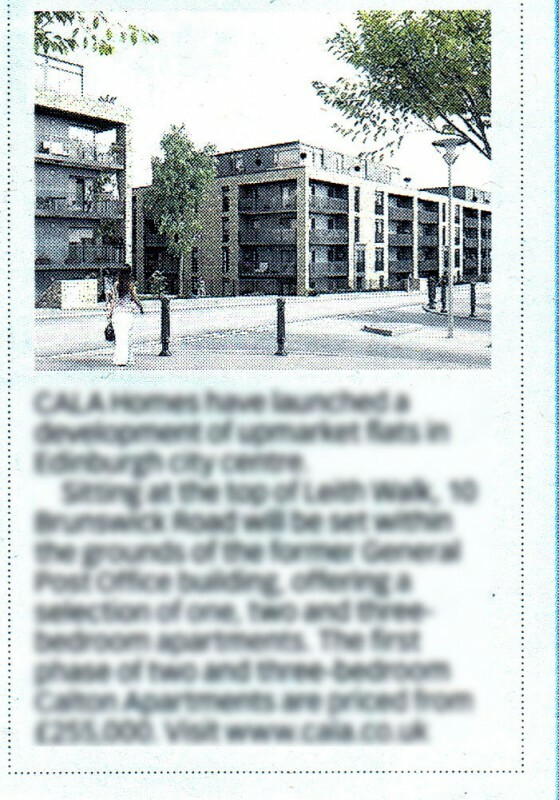 As the chance to live in a luxury CALA apartment within Edinburgh city centre doesn’t come along very often, the announcement was an instant hit with local and property press. The dedicated team here at Holyrood PR ensured that the news of CALA Homes’ new development was read about across Scotland, in both print and online at national and local levels, and the luxury developer has since had a fantastic response from interested buyers. 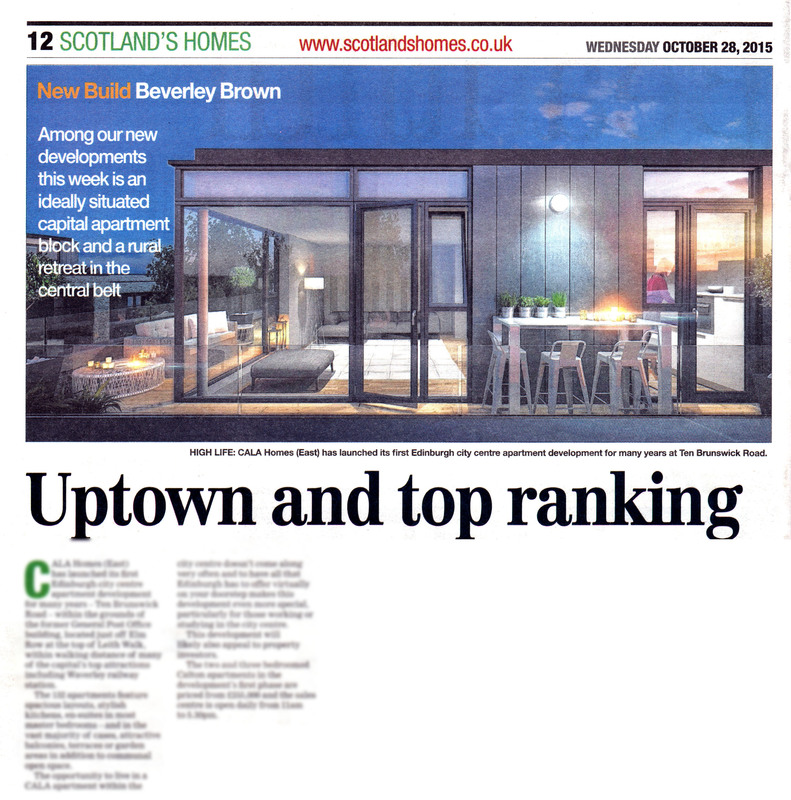 The launch of Ten Brunswick Road secured a whole host of coverage, featuring in the Sunday Mail, Daily Record, The Herald, The Scotsman and Edinburgh Evening News. Elsewhere, the story also featured online on popular local website Edinburgh Reporter and also ran on well-read business publication Daily Business Group. To find out more about the development at Ten Brunswick Road please visit CALA Homes‘ website. Would you like this level of media coverage?